US-DataRecovery-Boston.com provides Boston database file recovery, repair and reconstruction for corrupted Exchange Server files and most other database files systems. Lost or corruption of Microsoft Exchange database files can occur for many reasons. File corruption can occur from a server crash, hard drive failure, raid array failure, virus attack or other software component corruption. The best prevention of an exchange database loss is to have current redundant verified back ups of all the Exchange .MDB (Priv1.edb and Pub1.edb) and associated .STM files. If a corruption occurs do not attempt to repair these files with 3rd party software from the original source as this may further damage the files and result in permanent loss. Our engineers have a combined 37 years of experience with deployment and recovery of server based software applications. 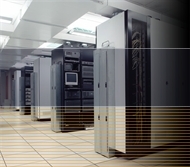 We follow a prescribed procedure of recovery and reconstruction from forensic images of your drive or array. Once your exchange files are recovered from our images our engineers then reconstruct the mail box structures.